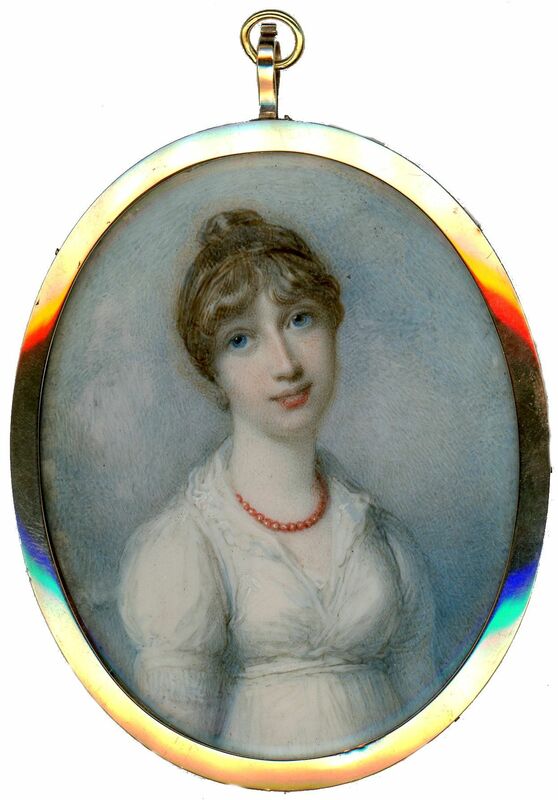 This alluring portrayal of Lady Mary Henrietta Juliana Osborne was most likely commissioned from the society artist Richard Cosway to mark either her betrothal or her marriage in 1801 to the Whig politician Thomas Pelham, 2nd Earl of Chichester. 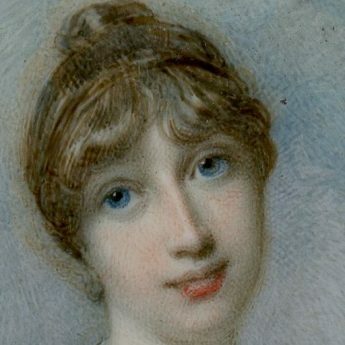 Lady Mary was born in 1776 and was the third child and only daughter of Francis Osborne, 5th Duke of Leeds by his first wife, Lady Amelia Darcy. 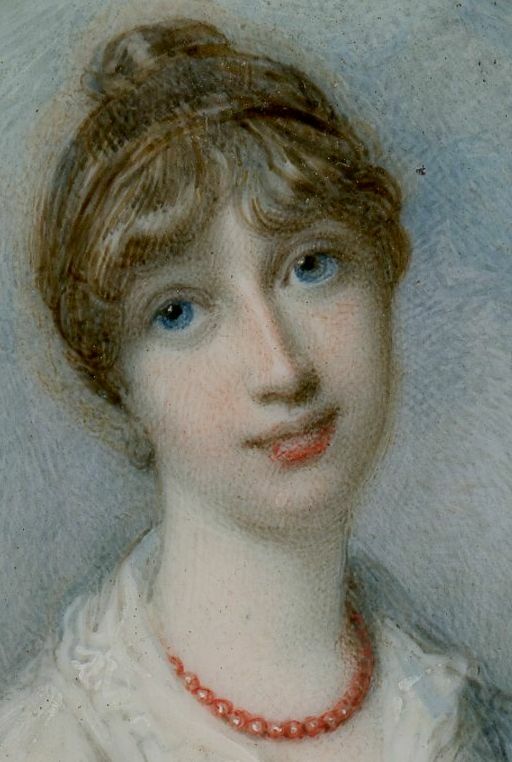 Her parents divorced in 1779 and a month later, her mother married John “Mad Jack” Byron (father of the poet, Lord Byron). Following her marriage, she was known as Lady Mary, Countess of Chichester. The couple had four sons and six daughters. Their second son became a naval commander whilst their third son became Bishop of Norwich. Lady Mary died in October 1862, aged 86, her husband having predeceased her by 28 years. The portrait is typical of Cosway’s oeuvre from this period. 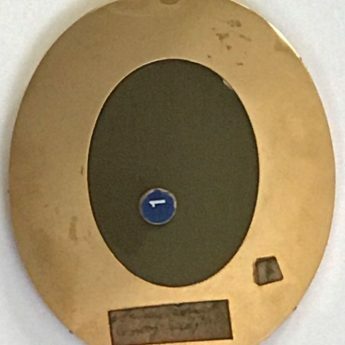 He was the most influential and successful miniaturists of his day and, along with his wife Maria, also a talented artist, hosted the elite of Regency society at his studio. 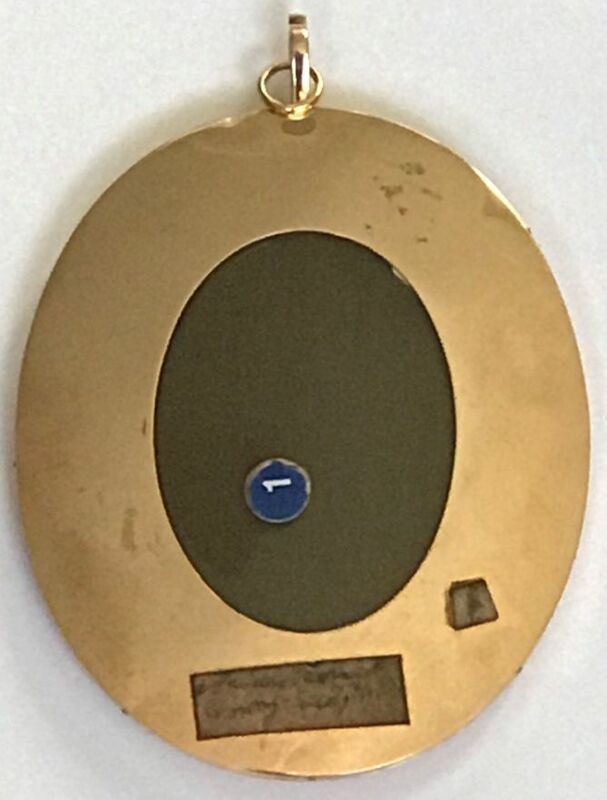 The miniature is set in a gold frame with a glazed aperture on the reverse that reveals brown silk.